Thulani Mabaso, 47, says he’s enjoying the 2010 FIFA World Cup, even if the action on the field couldn’t be further removed from what he was playing when he was in his prime. His freedom snatched at the age of 19, locked up for ten years on Robben Island, he found a lifeline with the game of soccer. Read on to find out more about his story. 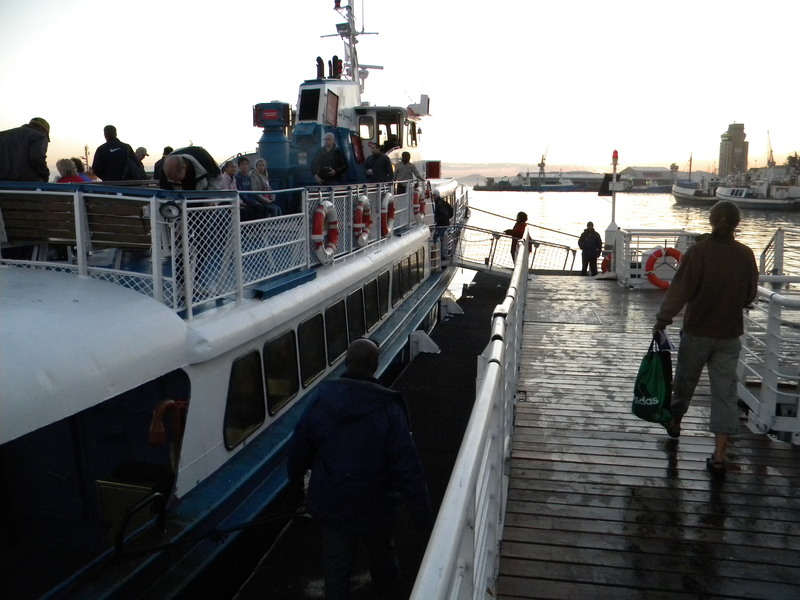 I boarded the first ferry of the day from Cape Town’s Clock Tower to Robben Island, formerly home to the infamous maximum security prison which held political prisoners like Nelson Madela and Walter Sisulu. Ten minutes into the journey, I struck up a conversation with Thulani, unaware that he was a former inmate and now a tour guide on the island. We talked at first about the choppy conditions of the sea and then about soccer. The inmates were taken out on this very same boat, he told me, but the upper deck had been for whites only, and the prisoners were held in a small room on the lower deck – often vomiting from the rough conditions. 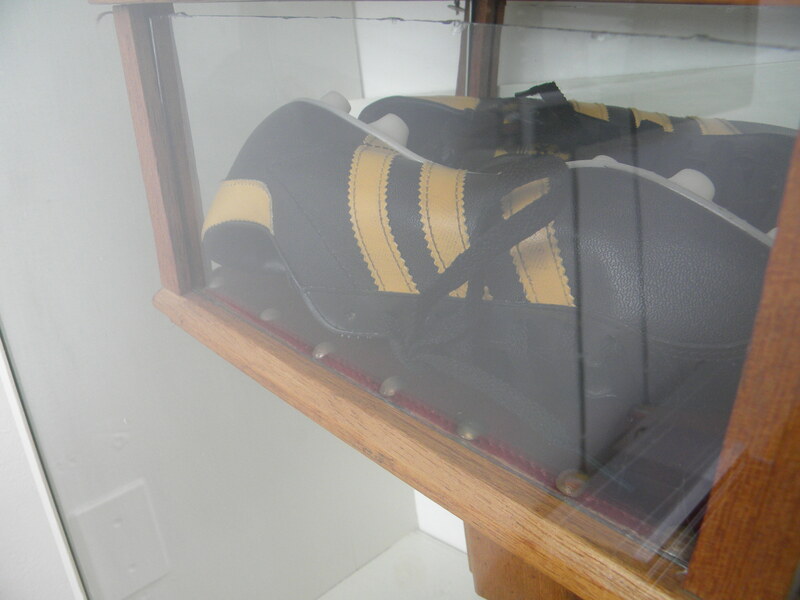 Cleats worn at Robben Island. They didn't have access to this quality in the early days. 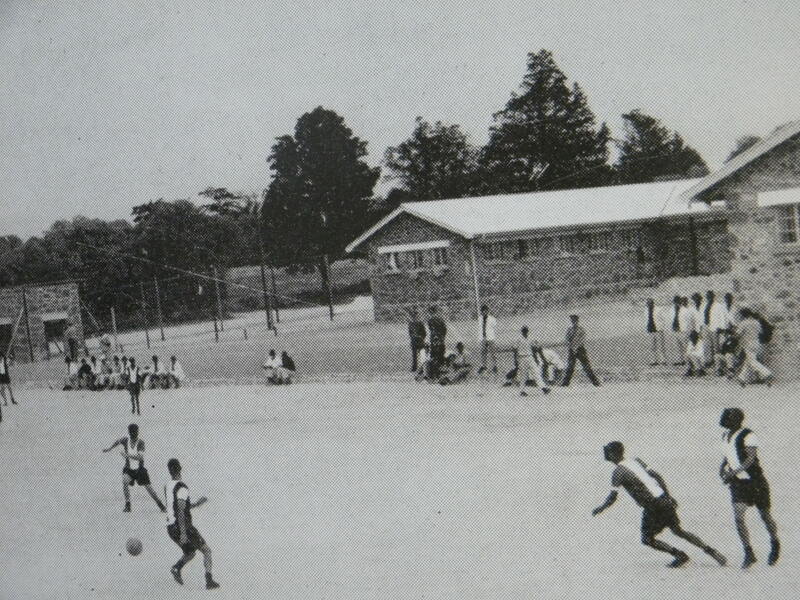 Life on the island didn’t hold many privileges, but one of the few that developed over time was the chance to play organized soccer once a week. “You don’t know how important soccer was to these men,” he said, noting that soccer magazines were among the prized possessions smuggled into the prison. And the chance to play the game meant everything. At that point in the discussion, I realized he wasn’t just another passenger, and I immediately became aware of the enormous privilege I was enjoying by talking with him. Before pursuing the soccer questions, I had to ask him something even more fundamental. I was amazed that a former inmate would take on the job of re-visiting the island on a regular basis, and he seemed to be doing it with so little trace of bitterness. How does he manage the bitterness? And what about trust? He was locked up for ten years by the apartheid regime, repeatedly tortured and suffered permanent illness due to organ damage. They once told him that his Dad was coming to visit, but when they brought him to the sergeant’s office for the meeting, he was informed that his father had been shot eight times by the security police outside of his home. How do you ever learn to trust again? In 1981, Thulani Mabaso was given an 18-year-sentence for setting off a bomb in a government building, housing Department of Defense offices. No one was killed, but 50 people were injured. At the time he was an active member of the ANC’s armed wing, which was fighting for the overthrow of the apartheid regime. 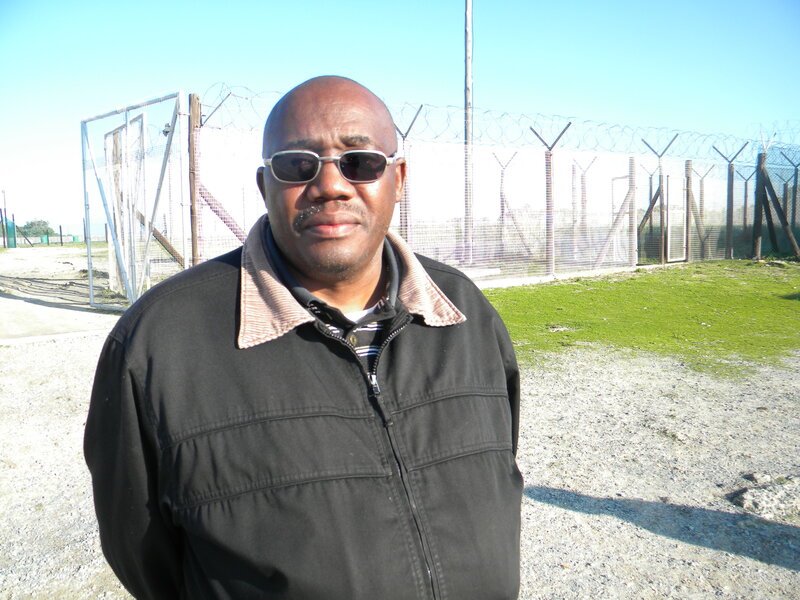 He was detained on Robben Island until 1991, when the regime finally came down. 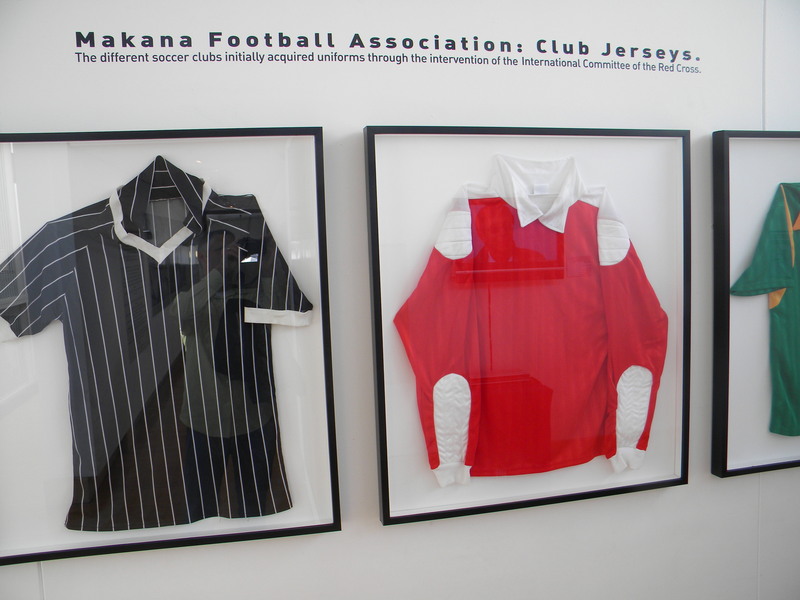 Team jerseys from Makana Football Association, on display at Robben Island Ferry terminal. 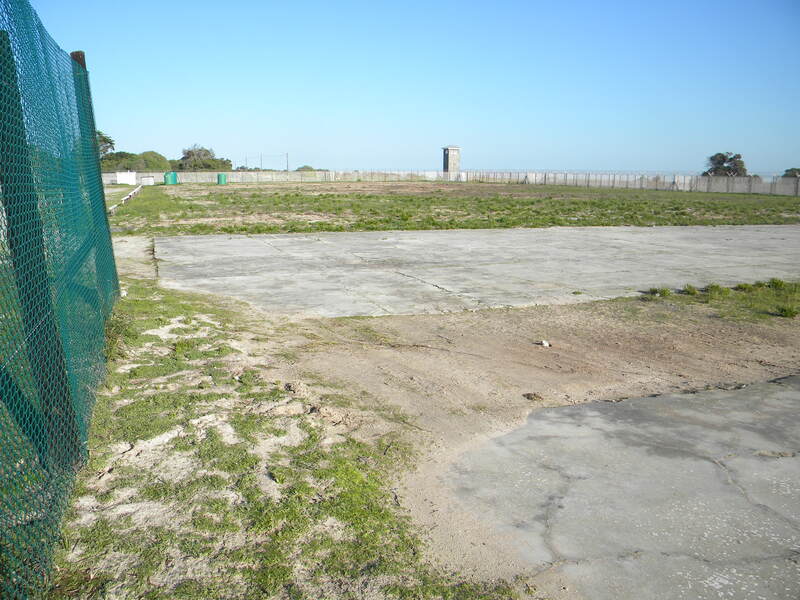 It’s hard to know just how good a soccer player Thulani might have been in another time and place, but he was certainly one of the best players on Robben Island. There were different tiers of teams, and certainly some very competitive ones. While the pursuit of sport was a tremendous release for the men, the game proved to be much more than that. “We built our democracy through sport,” said Thulani. In 1967, the prisoners formed what was called the Matyeni Football Association, with its own constitution and rules designed to be consistent with FIFA regulations. In fact, an earlier International Red Cross delivery of books to the prison included the FIFA handbook, and it served as an inspiration. Matyeni means “rocks” and was an unpleasant reminder of their hard labor in the quarries. 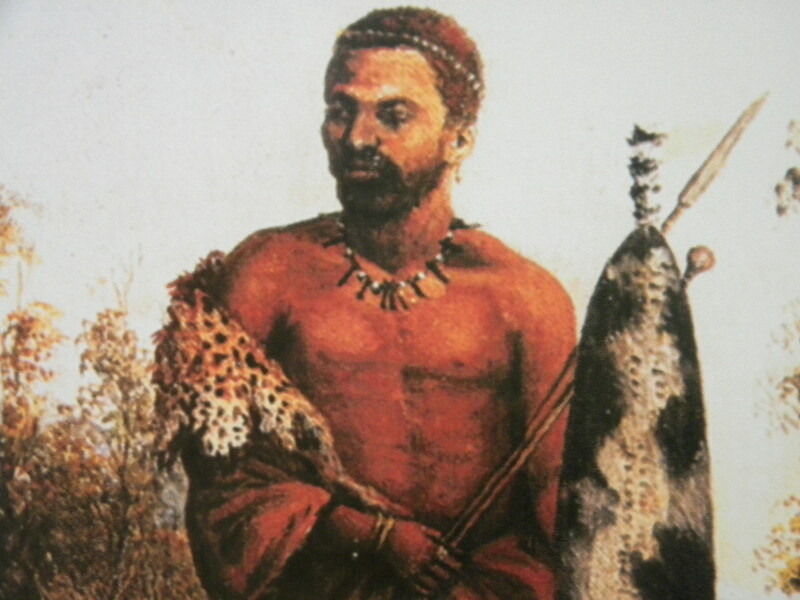 In 1969, they changed the name to Makana, in honor of the Xhosa Chief. He was a warrior-poet detained on Robben Island by the British in the war of 1818-1819, and died in 1820 trying to escape from island. 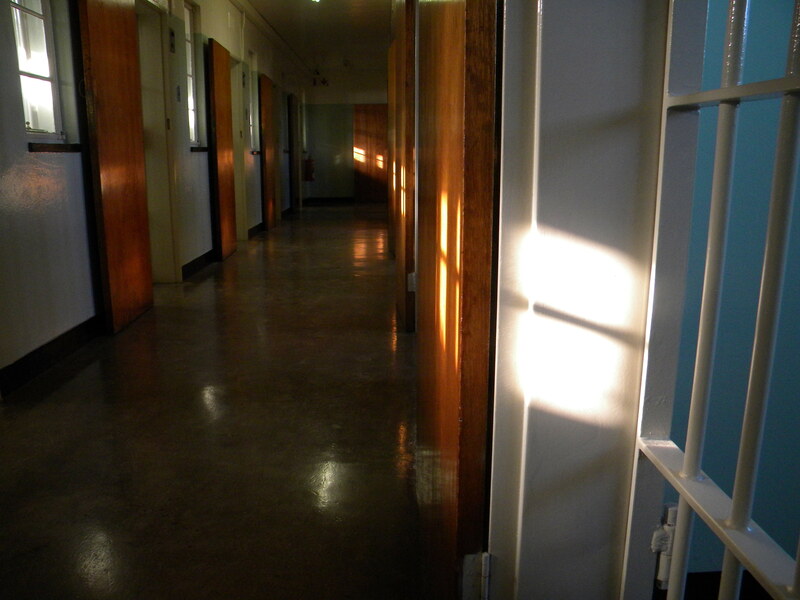 The argument is made that the Makana Football Association helped the prisoners develop their organizational skills and their resistance strategies. Also essential to the Association was the implementation of democratic principles, the same ones the political prisoners were trying to bring to South Africa. The creation and operation of the soccer league in effect provided the opportunity to learn the skills of governance. Interesting, many of the MFA executives went on to important Ministerial positions in the Mandela government. 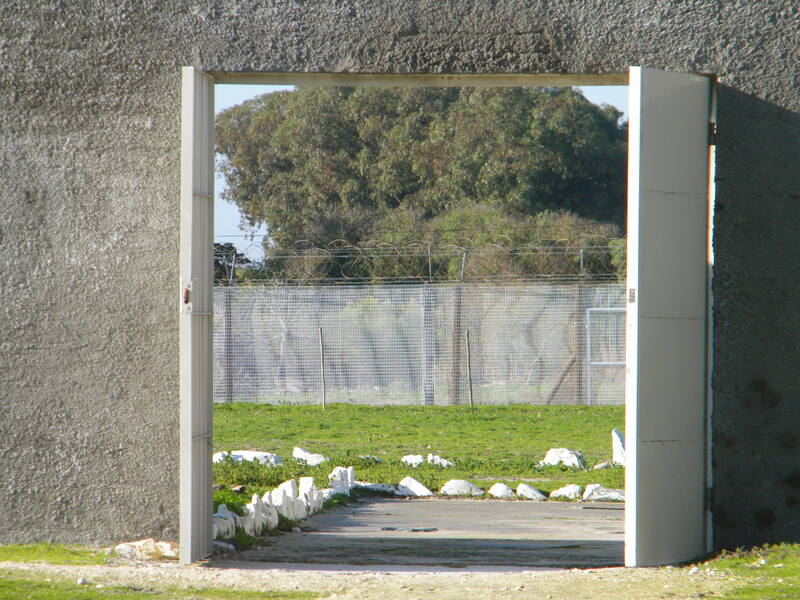 In fact Dikgang Moseneke, who is today Deputy Chief Justice of South Africa’s Constitutional Court, arrived on Robben Island in 1969 at the age of16. He was immediately given the task of starting a referee’s union. He would become the principle administrator of the MFA. Jacob Zuma, current president of South Africa, was a defender in the MFA. 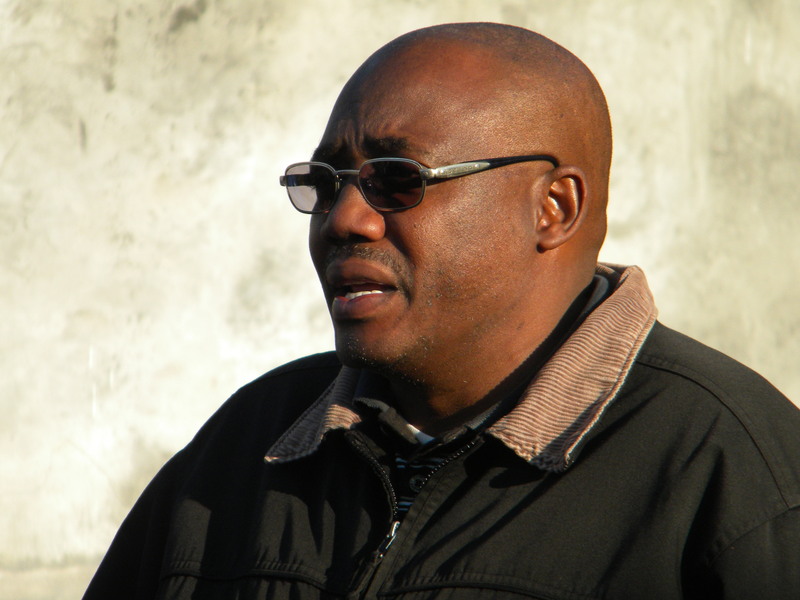 Thulani is particularly proud of how the MFA created its teams. 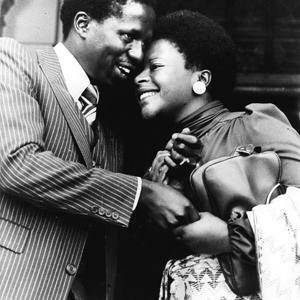 While members of the ANC and PAC were often at odds when it came political strategies, they were not permitted to form teams based on those affiliations. Instead, the players were mixed across several teams, ensuring that the issues around the game remained sport-specific. In 2007, FIFA made the MFA an honorary member of their organization. One of the last things Thulani told me is that there was a tradition of starting each day on the island with someone kicking a ball into a soccer net. It was a powerful gesture of hope. On July 18, when Nelson Mandela turns 92, an event is being organized where 92 soccer balls will be kicked into a net. Before I returned to the ferry and to Cape Town, Thulani and I gave each other a firm handshake, his grip a little surer than mine. I was a bit unsettled and certainly humbled in the shadow of this man. If you’re interested in reading something more in-depth on this subject, you might want to find a copy of More Than Just a Game: Soccer vs. Apartheid: The Most Important Soccer Story Ever Told, written by Chuck Korr and Marvin Close. It’s published by Collins. This entry was posted in Uncategorized and tagged 2010 FIFA World Cup South Africa, ANC, Cape Town, Dikgang Moseneke, FIFA, Jacob Zuma, Makana Football Association, Matyeni Football Association, MFA, More Than Just a Game: Soccer vs. Apartheid: The Most Important Soccer Story Ever Told, Nelson Mandela, PAC, Robben Island, Thulani Mabaso, Walter Sisulu, xhosa. Bookmark the permalink. 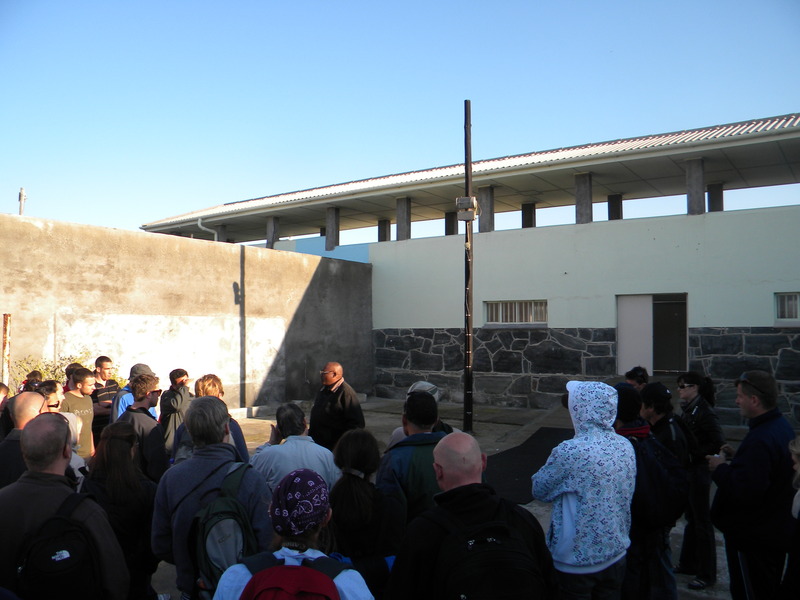 Pingback: Christmas Day on Robben Island | Amandla! I think the world is turning into a better place. Apartheid is done, racism in the states is done, hopefully soccer spreads all around the world and it’ll be a better place yet!